We also help editors, publishers, organisations and businesses to find the writers they need through our Directory of Freelance Writers and Writing Opportunities Listings. Over the years, WriteThisMoment has helped thousands of writers find writing markets and opportunities. Many have secured publishing contracts, writing jobs, and various writing commissions as a result of the opportunities provided on the website. In fact, some of our members return year after year, and it's a pleasure seeing their writing develop and flourish. It's also a pleasure to help editors, publishers, businesses, and organisations find the writers that they need by providing a free listing service of their writer vacancies / requirements and, new from September 2014, the provision of the Directory of Freelance Writers. Looking for support on your writing journey? We welcome new subscribers and look forward to providing insights, inspiration, and information to help you succeed. If you have any questions not answered on the website or in the FAQs, please email. 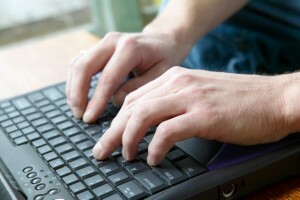 Post your Writing Vacancy FREE on WriteThisMoment.com or visit The Directory.